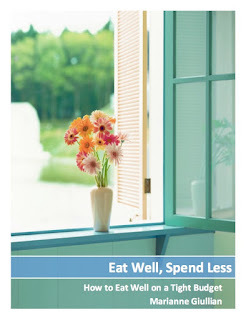 Spendwise Moms: Simple Savings: Use It Up! Simple Savings: Use It Up! I am on a mission to fit everything in our small freezer that is now in the big freezer. Of course, there is much more than can fit. We are going to eat things in the next week or two so I can unplug and defrost the big freezer. Frankly, we don't use the big freezer enough to pay for the electricity. I will see if I can just get by with the small freezer, and if not maybe look into a smaller freezer that is a better size for us. In the process, I am finding all kinds of things I froze. There is some leftover Godiva chocolate from Easter as well as part of a Toblerone bar. I made some chocolate chip cookie dough and cut the candy bars into chunks and put them in the dough. I think they will taste good since we like the chocolate. I didn't have to go out to the store to get chocolate chips. I just used what I had on hand. It challenges creativity sometimes to figure out what to make with what there is in the freezer, but it can be fun. I will also save a lot of money the next two weeks. I doubt I will spend more than $15 - $25 total on groceries for over two weeks. I must say that frozen green beans are not a big hit here, but we are surviving. We have made it through acorn squash, some butternut squash, yams, frozen zucchini, spinach, carrots, etc. We still have lots to go, but at least a lot of it is healthy. Use what you have and be creative and substitute!